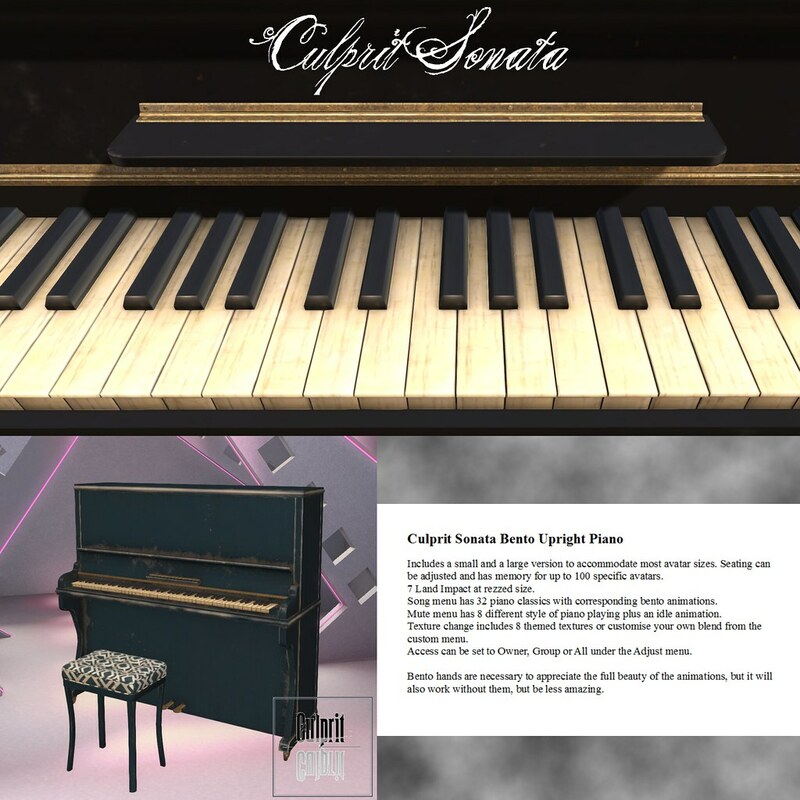 The Sonata Upright Piano has 32 song menu for piano classics with corresponding bento animations. The piano comes together with two sizes of small or large, seating can be adjusted and memory can be saved for up to 100 avatars. This piano has custom bento animations, and though it is preferred to use bento hands for this piano... it is not completely needed. The piano has 8 texture options to change the colour or ...your can customize your own blend from the custom menu!